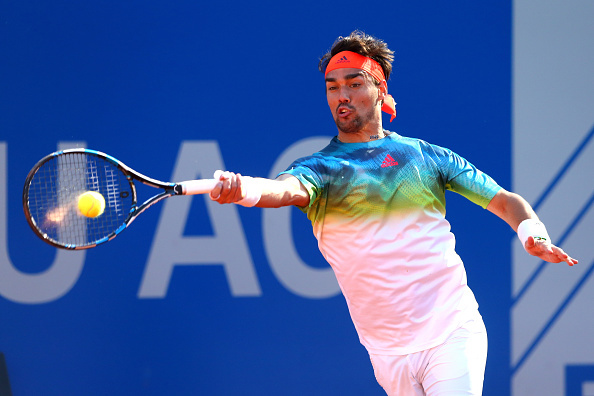 The clay season comes to German where familiar names and past champions hope to stake a claim and make some noise in the run-up to Roland Garros. 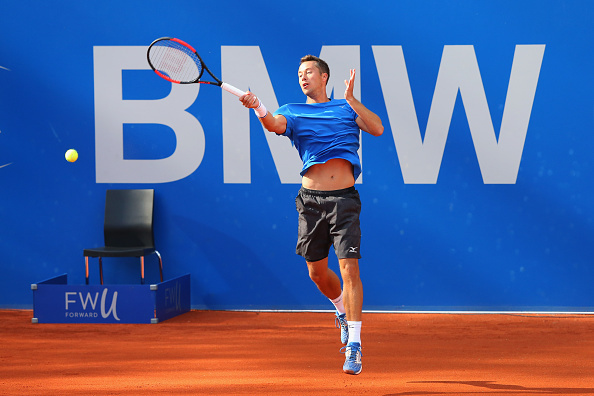 With the clay season well and truly underway, the next stop is the 2018 BMW Open by FWU AG in Munich, Germany. Alexander Zverev is the top seed and defending champion. Roberto Bautista Agut arrives from Barcelona as the second seed with Diego Schwartzman and Hyeon Chung the third and fourth seeds respectively. Top seed and defending champion Alexander Zverev headlines this top section of the draw. Despite being the number three ranked player in the world, the 21-year old has disappointed for much of the first half of the season. He has made just one final and semifinal whilst also crashing out early. Zverev has been giving a Bye and faces the winner of either wildcard Yannick Hanfmann or Cypriot Marcos Baghdatis. The 26-year-old despite his ranking of 121 has success on this surface having made his only final in Gstaad, Switzerland. Also in this section is a third German: Jan-Lennard Struff. He opens up against a qualifier and could face the fourth German player in this top section Yannick Maden or the eighth seed Yuichi Sugita. Struff will be hoping to make his first ATP tour final this week but will need to improve on clay. Should he get past both his matches, he could fellow countryman Zverev in the quarterfinals. Both players met in Monte Carlo just under two weeks ago and produced a close run affair. The young German should make the quarterfinals but the bottom of this section is anyone's to grab. 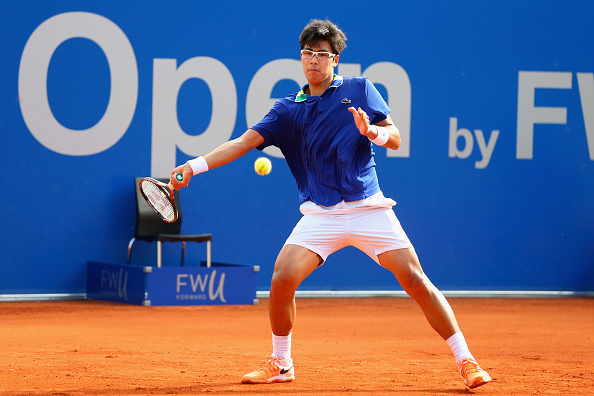 Korean Hyeon Chung is the fourth-seeded player in this quarter. As a result, he has been given a Bye into the second round. The Korean has come into his own this year, making a surprise semifinal in Australia. He faces either Mikhail Kukushkin on his least favored surface or fellow German Matthias Bachinger. The 21-year-old withdrew from Barcelona Open last week sighting an ankle injury which may slow down his progress on clay and give his opponents much-needed boost if they to stand a chance against him. The second and final German in contention in this section is Florian Mayer. The former world number 18 has struggled with huge injuries in recent years and has announced his retirement this year at the end of the US Open in September. With clay being a strong surface for the 34-year-old, he'll be one to look out for this week. He faces a qualifier in his opening match. Should he come through, he awaits Mirza Basic or Gael Monfils. The Frenchman has already had much-needed matches on clay with his three-week stint in South America in February. He made two semifinals whilst crashing out early in Colombia. Argentine Diego Schwartzman will relish playing on the clay, coming into the tournament as the third seed and as a result, has a Bye into the second round. With the 25-year-old at the bottom of this section, two Italians face off at the top; Fabio Fognini, the fifth seed, and Marco Cecchinato, who has used his protected ranking to play. The thirty-year-old relishes the red clay courts with six of his titles coming on this surface, his recent title being at the Brazil Open in the first week of March. He'll be one to watch this week. He faces Marton Fucsovics or Guido Pella in the second round. The Argentine also favors this surface. Both of his ATP tour finals have come on this surface, one in Rio in 2016 against Pablo Cuevas and another one here in Munich just last year where he fell to Zverev. The sole German representative in this draw is Maximilian Marterer and he has been given a qualifier in his opening round and should he win his opening match, he will face Schwartzman in the second round. Expect both seeded players to advance to the quarterfinals. Second seed Roberto Bautista Agut is at the bottom of this draw. He is the lone Spaniard in this tournament and has been given a bye. At the top of this final section is the sixth-seeded German and two-time champion Philip Kohlschreiber who adores playing on clay. Ivo Karlovic, who struggles on clay with his game has the task of stopping Kohlschreiber. The 39-year-old is the oldest player in this draw by some distance and has been an ever-present inside the world's top 100. Though clay isn't a strong surface of the Croatian's, he has made a final in Dusseldorf back in 2014 against his opposition. The winner of that clash will face either Mischa Zverev or Andreas Haider-Maurer. 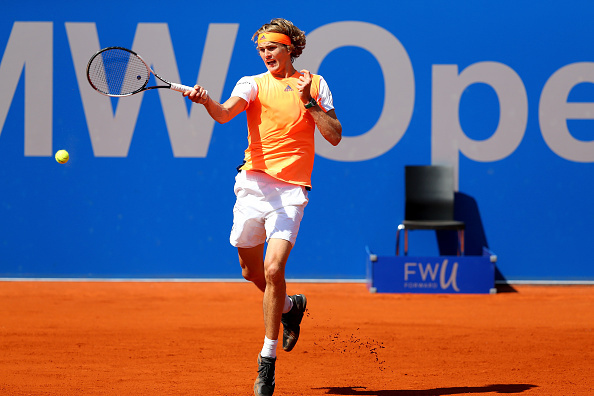 Unlike most German players, Zverev doesn't have much success on clay despite his two final appearances but does tend to play well here in Munich having made the final in 2015, losing to his younger brother. Bautista Agut as mentioned early is at the bottom of this draw and should fancy his chances of making the quarterfinals. His second-round opponent will be either Norweigan Casper Ruud or a qualifier. Much like the third quarter, both of the seeded players should advance to the quarterfinals with little trouble.